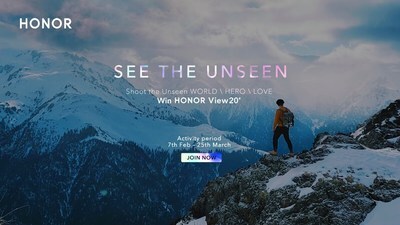 HONG KONG, Feb. 7, 2019 /PRNewswire/ -- HONOR, a leading smartphone e-brand, today launched a special 'See The Unseen' photography challenge to showcase the capabilities of the HONOR View20's impressive 48MP AI Ultra Clarity camera, which is able to capture an incredible amount of detail. The challenge encourages users to use this revolutionary technology to discover compelling stories, capture vivid experiences, and push the limits of their creativity. For smartphone photography, nothing is more important than photo quality and clarity, and HONOR View20 is bringing these measures to new highs. The rear camera of the HONOR View20 is the first ever to be powered by the Sony IMX586 stacked CMOS image sensor, which features 48 effective megapixels on a 1/2-inch sensor unit to deliver excellent image quality. As a result, you'll see richer details and more vibrant colors in the AI-optimized shots taken with the HONOR View20. In addition, the dual-NPU and dual-ISP Kirin 980 chipset has improved the image and camera processing capabilities of the phone by 134% and 46% respectively. Combined with the already astonishing power of the camera's 48MP sensor, the result is unprecedented mobile photography potential. 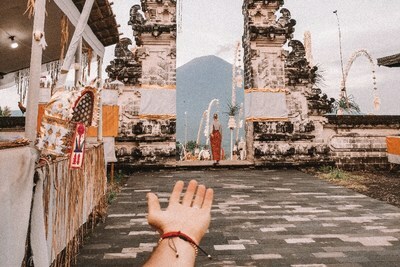 The 'See The Unseen' photography challenge is supported by star Instagram travel blogger Jack Morris, the face of the travel blog Do You Travel which attracts over 2 million followers; and Murad Osmann, one half of travelling Instagram-couple Murad and Nataly, of the web phenomenon #FollowMeTo. Both Jack and Murad will be campaign mentors and judges during the two-month photo-challenge campaign involving three key themes: 'Unseen Love'; 'Unseen Heroes'; and 'Unseen World', to encourage HONOR users to discover the countless stories and adventures that surround them wherever they are in the world. In 2018, HONOR's strong business performance saw a 170% YoY increase in overseas markets. To further drive the business growth, HONOR officially announced its brand upgrade at the HONOR View 20 Global Launch in Paris, which revealed the new logo with moving color, the new slogan of "HONOR MY WORLD" and all-new partnerships with brands loved by global youth. The 'See The Unseen' photography challenge and HONOR Gallery have also been developed as part of HONOR's brand upgrade to satisfy the growing needs of global youth.